The Bar Mitzvah year of AEPi’s We Walk to Remember program could not have come at a more pivotal time. The Bar Mitzvah solidifies a young Jew’s duty and connection to Judaism just as We Walk to Remember solidifies AEPi’s commitment to NEVER AGAIN. With the rise of both campus and community anti-Semitism, it would have been very easy for the brothers of AEPi to take this year off of commemorating the Holocaust. “It’s too public,” “We might not be safe,” “Maybe we will just do it next year,” are possible and understandable responses that a brother could have given when asked to participate. This year, we heard none of those. 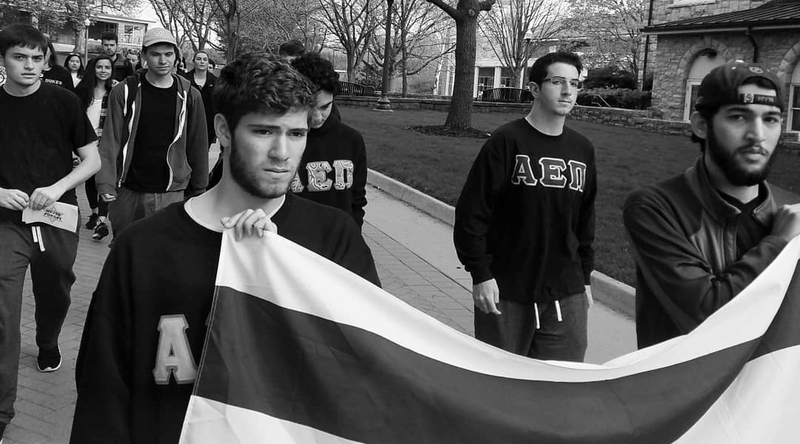 AEPi brothers on 152 campuses around the globe walked together in solidarity with other minority groups, religious groups, and Fraternities and Sororities to stand up against hate and do our part to make NEVER AGAIN a reality. Each year, as more and more survivors pass away, this program only grows in importance. The stories we hear are from elderly people in the point of view of children. We no longer get to hear a firsthand experience from the perspective of an adult and in a few years we will not be able to hear the perspectives on any survivors. When they are no longer here to tell their stories, how are we going to remember? Hollywood movies? Books? Non-mandatory Holocaust Education classes? NO! We need to bring the conversation to the masses, not the masses to the conversation. We Walk to Remember forces bystanders to ask questions, participants to reflect, and media to cover a story that sheds a little light on a large story. In my opinion, We Walk to Remember is one of the most important things AEPi does to impact global Jewry. “We must take sides. Neutrality helps the oppressor, never the victim. Silence encourages the tormentor, never the tormented.” Eli Wiesel. We Walk to Remember is AEPi taking a side!